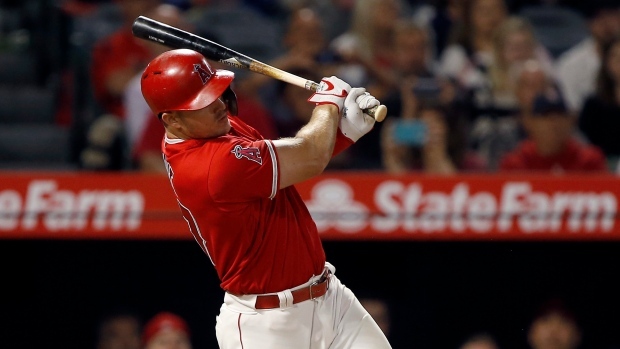 Los Angeles Angels first baseman Justin Bour made his second mental error in less than a week Friday night when he failed to run out an infield pop up that instead resulted in a double play. After the game, he said it would never happen again. The Boston Red Sox have placed starter Nathan Eovaldi on the 10-day injured list with a loose body in his right elbow, the team announced Saturday. 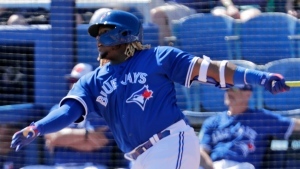 Rumours swirled Friday afternoon that Tuesday night could be the target date to bring Vladimir Guerrero Jr. up to the majors, but it doesn't seem like that's going to happen according to TSN's Scott Mitchell. The New York Mets have placed Jacob deGrom on the 10-day IL. DeGrom will head to New York to have an MRI Saturday on his elbow according to manager Mickey Callaway. The manager said deGrom's elbow started "barking" after playing catch on Thursday. Boston Red Sox left-hander believes that if the team doesn’t get better, changes could be in order. Major ones, in fact. The Red Sox sit at 6-13 entering play Friday, eight games back of the division-leading Tampa Bay Rays.